Read on to find out if an iron deficiency can cause hair loss. Iron is an essential but potentially toxic element. 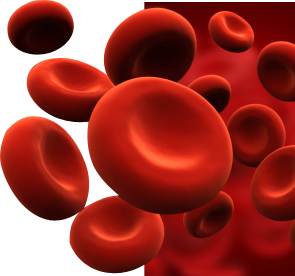 Most of the body’s store of iron is contained in the red blood cells. Iron contributes significantly to health and diseases, and both its deficiency and overload are equally bad. Since iron is so useful yet toxic at high doses, free iron in the cell is strictly regulated. Instead, iron is found bound to proteins. In this form, iron can be safely used by the body. Heme is the most popular of these proteins which binds to iron. It is found in the hemoglobin of red blood cells and has the vital function of transporting oxygen and carbon dioxide to and from the lungs and other parts of the body. Therefore, the body needs iron for oxygen transport which is an important step in cell metabolism. When a significant volume of blood is lost, there is a sharp fall in iron level in the blood which leads to anemia. Ideally, 5 grams of iron is found in the human body at any time. Half of this is used by the hemoglobin of the red blood cell to distribute oxygen around the body. The other half is stored as ferritin in different sites in the body. These sites include bone marrow, spleen, liver and the cells themselves. When the iron level in the body drops the body compensates by taking some iron from these stores. Of these reserves, the ferritin in the liver is the primary source of iron replacement. Women generally have less iron because of blood loss from their menstrual cycles and increased demand due to pregnancy and breastfeeding. Therefore, they have less iron stored up and so can easily become anemic. The body tries to conserve its iron levels by reclaiming iron for aged red blood cells. Still, about 1 mg and 2 mg is daily lost in men and women respectively. The major site of this loss is the skin (through sweating and shedding of the cells) and the lining of the gastrointestinal tract. Because of this steady loss, iron must be taken into the body either with food or through supplements. Iron deficiency is clinically referred to as hypoferremia or sideropenia. Because of the importance of iron to cell metabolism and oxygen transport as well as its strict regulation by the body, iron deficiency is the most common nutritional deficiency in humans. It leads to anemia and majorly affects children and women before the onset of menopause. Iron deficiency occurs when the daily iron loss is not balanced by the daily iron intake. When this state persists over time, it develops into anemia. Apart from inadequate iron intake, other major causes of iron deficiency include blood loss (blood donation as well as internal, menstrual and wound bleeding), diseases and syndromes that reduce the amount of iron absorbed in the gastrointestinal tract, and drugs or foods that interfere with iron absorption. Before iron deficiency results in anemia there are signs warn of iron deficiency. Common symptoms of hypoferremia include hair loss, brittle nails, irritability, fatigue, and an impaired immune system. When we think about hair loss, the first thing that often comes to mind is men, but this is something that is common in many women too, and there are a number of reasons for this. One reason why a lot of women experience hair loss could be because they are not getting enough iron in their diets, and it is has been discovered that there is a definite link between iron and hair loss. This is most common with women who are non-menopausal, between the ages of 35 and 50. If a woman has particular heavy periods with a lot of bleeding, it can lead to blood loss and an iron deficiency, especially if there are other factors in play, such as not getting enough iron in the diet. Many women find that they have iron deficiencies after giving birth and complain about hair loss. Much blood is lost during and after birth, and in some cases, the iron deficiency leads to other health problems, including anemia and hair loss. Ulcers and inflammation of the stomach can lead to bleeding in the digestive tract, which can also lead to an iron deficiency. A lack of iron and hair loss are certainly connected. These are just three of the reasons why a woman may end up with an iron deficiency and hair loss, but there are many other reasons why this can happen. Obviously, this is not something that is limited to women, and there are many men who suffer from hair loss due to an iron deficiency. Many people who take certain medications, including those that reduce stomach acids, end up with other health issues, including iron deficiencies. Even certain health issues, including chronic diarrhea, can lead to a loss of iron. 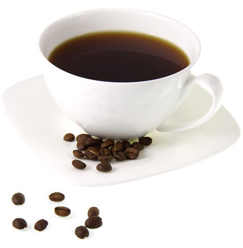 There are also some foods that can decrease the absorption of iron into the blood stream, such as coffee, tea, soybeans and various other foods. Supplementing the diet with vitamin C can help the body absorb iron. It is wise to eat foods that are high in iron, including lean red meat, dried fruit and broccoli. Studies have shown that women just experiencing thinning hair almost always have iron deficiency. However, the strong link between hair loss and low levels of iron is not exclusive to women. Men who are on restricted diets or whose lifestyles involve repeated blood loss can also experience alopecia. While not all findings establish a firm link between hair loss and iron levels, experts all agree that iron deficiency contributes significantly to other causes of hair loss. In fact, doctors at the University of Pennsylvania Hair and Scalp Clinic showed that replenishing the iron stores of balding patients increased the chances of hair growth in most people and stopped hair loss in every patient. Still, it is wrong to quickly assume iron supplementation is the universal answer to hair loss of all origins. Balding patients who take iron supplements even though they have normal levels of the mineral are likely to develop iron overload. Hair loss caused by iron deficiency starts with a slow but accelerating decline in scalp hair density. This hair loss is caused by an increased production of dihydrotestosterone (DHT) which is known to inhibit the development of hair follicles. When the iron levels in the cells fall, the mitochondria are forced to compensate for declining energy-giving ATP (adenosine triphosphate) production with the alternative, testosterone. More testosterone invariably leads to more DHT. Luckily, even though iron and hair loss do seem to go together, there are ways that this problem can be dealt with and treated. One of the best ways to stop hair loss or avoid it all together is to make sure that the diet includes plenty of foods that are high in iron, or at the very least, take an iron supplement. Without enough iron, hair loss can follow, so it is imperative that everyone get the amount of iron their bodies need. Hair loss vitamins can help. 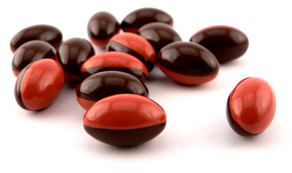 The recommended daily allowance of iron for women is 15 mg, and 18 mg for men. As you can see, there are a variety of reasons why both men and women experience hair loss. Making sure you get plenty of iron can reduce the risk of hair loss and keep you from developing other health problems, including anemia. Iron supplements should not be taken by people sick with fever or bacterial infections and also not by those who just underwent surgery. This is important because even though plasma levels of iron are reduced during this time, it is a mechanism through which the body starves bacteria of the iron they need to thrive. Since iron is essential to bacterial growth, iron supplementation would only increase the risk of infection.